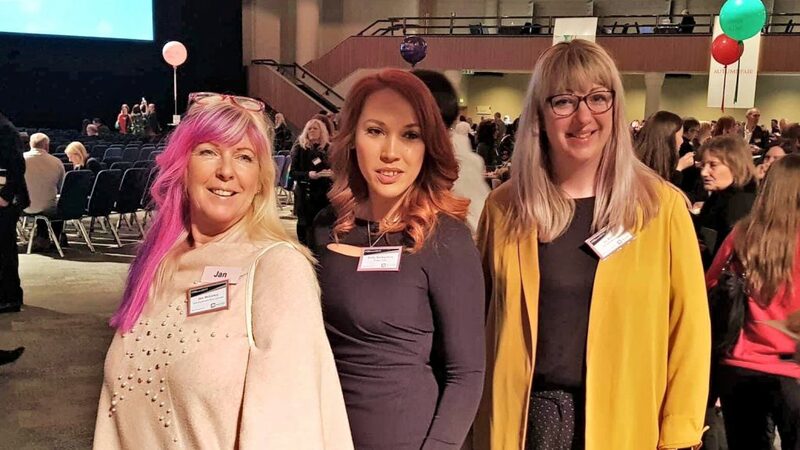 Jan Mckinley from Dolly Daydreams, Kelly Derbyshire from Nudgecards, and Liz Martin from Kip McGrath Hull East – winners of a much sort after Theo Paphitis SBS retweet. Three Hull businesses – Kip McGrath Hull East, Dolly Daydreams Party Caravan, and Nudgecards – have received an online boost from retail entrepreneur Theo Paphitis. All three enterprises tweeted Theo during his renowned ‘Small Business Sunday’ (#SBS) competition, and were among six weekly winners to gain a retweet by Theo to his 500,000 Twitter followers. The weekly initiative, set up by Paphitis in 2010, now has over 2500 #SBS winners and supports small businesses in the UK. 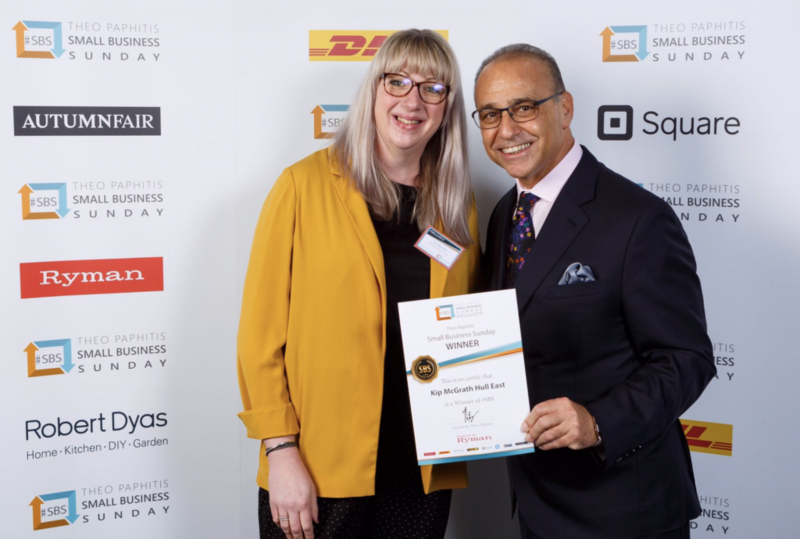 Liz Martin, Director of Kip McGrath Hull East, with entrepreneur Theo Paphitis. Anyone looking for a re-tweet from Theo should tweet him about their business on a Sunday between 5pm and 7.30pm and include the hashtag #SBS. Six lucky businesses are re-tweeted every Monday at 8pm and then invited to enter their profile on the website and attend the annual event. “I won on Monday 4th February and attended the event the following week!” said Liz. 1 Comment on "Three city businesses receive a twitter boost from Theo Paphitis"
Me too. I won the day before the event!